As soon as you open the package, feel the craftsmanship and clamp down on your first modular end, you'll agree with me, that these are by far the best set of crimpers on the market. 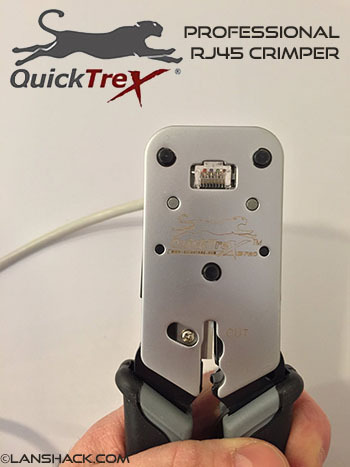 Since I use this in my business daily (I am a wireless ISP), it is crucial that I have a solid connection every time I crimp or my radio providing service to my clients may be intermittent, or not even function at all. I highly recommend these if you plan on putting a lot of ends on. Every now and then, you can get away with a $40 pair, but if you mean business, buy the best! 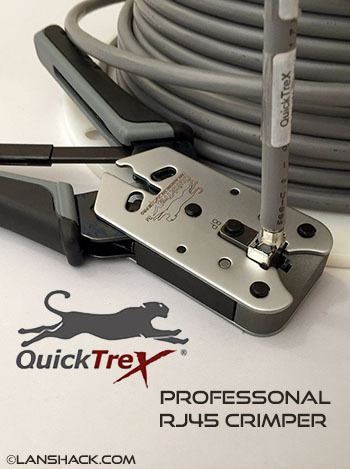 • Calibrated to a nominal of .237" (for most High Quality RJ connectors), while maintaining an impressive +/- .003 tolerance. 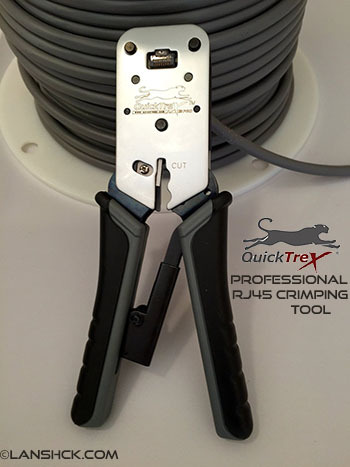 • Ultra precise and durable Zinc Alloy which supports the product for accurate results on each crimp, that is sure to last for years with continual use. • Crowned Head(tm) pin arrangement accounts for flexing of the plug during the crimping process and reliably delivers evenly crimped pins. 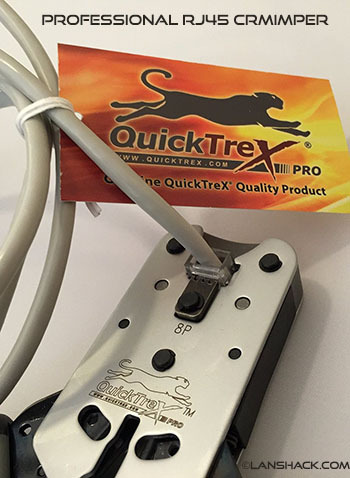 • Works with QuickTreX, SS, Sentinel, as well as Tyco type plugs (and many others). 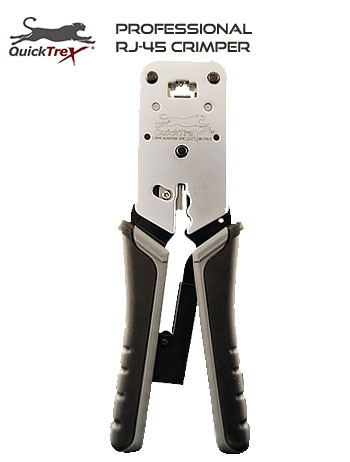 Will accept both types of latch locking stand offs (2 or 3) for a proper crimp of cable jacket, while maintaining the integrity of the conductors "lay". • plug locks in place to maintain proper position to elevate movement. 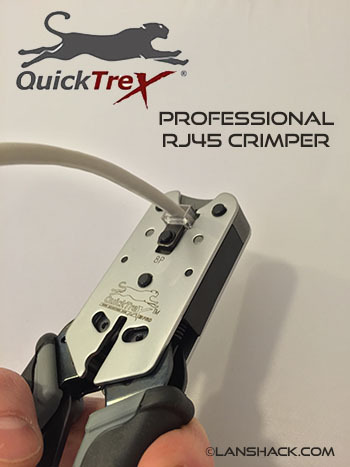 This allows the tool to crimp properly over the contacts while not damaging the plastic in the latch area, leaving a good clean crimp / connection. 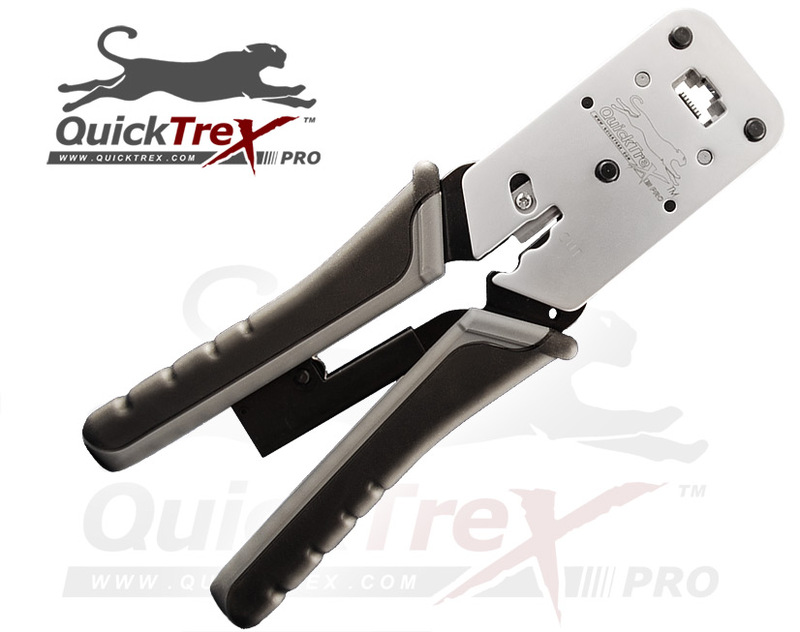 • Accessible release button in the event the tool needs to be open prior to a full crimp.